Visitors heading to MCS’ stand at the Showman’s Show this year will get to see some of the latest mobile solutions that are helping event hire companies deliver convenience to their customers. During the past twelve months, MCS has been working hard on its latest mobile application RM Mobile. The app has been designed to put everything you need in your hand. Not only can you access your hire solution wherever and whenever, but you can do everything from finding copy invoices and making important purchasing decisions, to seeing an accurate picture of equipment availability. 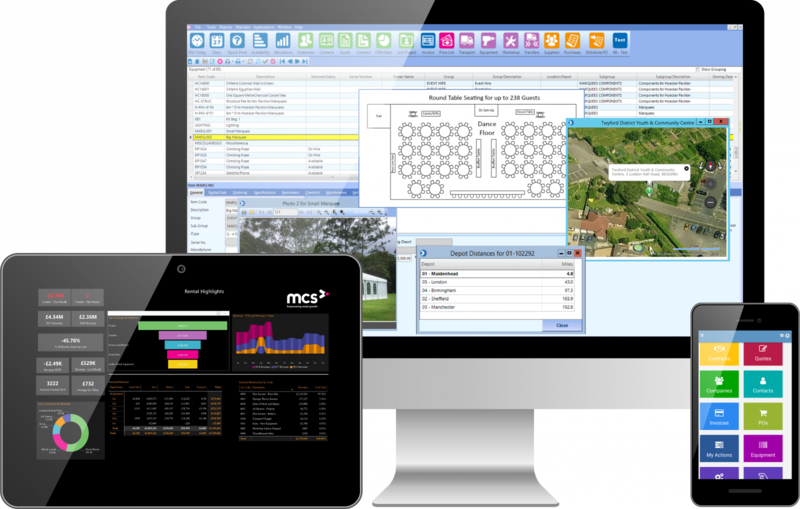 Aside from the all-new mobile application, the MCS team have also released a number of enhancements to their other mobile solutions. Users can now benefit from check-in/check-out functionality on the picking mobile app. This ensures that keeping track of hire equipment is now easier than ever. To see the full range of solutions and talk to the team about how MCS can transform your hire business, be sure to seek out MCS at this year’s Showman’s Show.